Go your own way. Search for cars based on how you live your life. LAcarGUY Three Generations. 11 Dealerships. One Website. 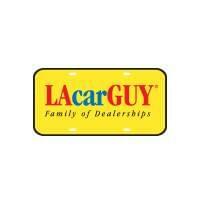 LAcarGUY’s 11 family-owned dealerships have been serving greater Los Angeles since 1974. The LAcarGUY website was created to enable our customers to easily locate our dealerships, browse our combined inventory and discover current specials. It also allows us to share our ongoing involvement in charity and community events. Community and environmental causes have always been a priority for LAcarGUY. AS the #1 Hybrid dealer in the country, we’re proud to be a leader in promoting green vehicles. LAcarGUY.com/green provides our customers direct access to the green inventory of our 10 dealerships along with the latest news and information on green auto technology and products. Now more than ever, it’s our mission to help people make the right decisions in buying a car, both for themselves and the planet.